We have all the chemicals you will need! Ward's® Science offers the largest selection of chemicals for science education, and we have compiled the top chemicals for High School Education into one easy kit. If you are building a new school, or just need to refresh your entire stock room, this is the kit for you. 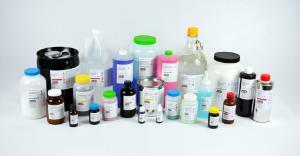 We have the safest and highest quality chemicals ready for you. Couple this with our Chemical Inventory Management system and you are set and ready to go! For a list of the chemicals contained in this start-up kit, please download the PDF under the Product Resources Tab. Caution: This product can expose you to chemicals including Methanol, Phenolphthalein, Respirable Crystalline Silica, Benzidine-based dyes, lead and lead compounds, p-Dichlorobenzene, and strong inorganic acid mists containing sulfuric acid, which are known to the State of California to cause cancer and/or reproductive harm. For more information go to www.P65Warnings.ca.gov.